Great routine and first class props spells entertaining and fabulous magic. 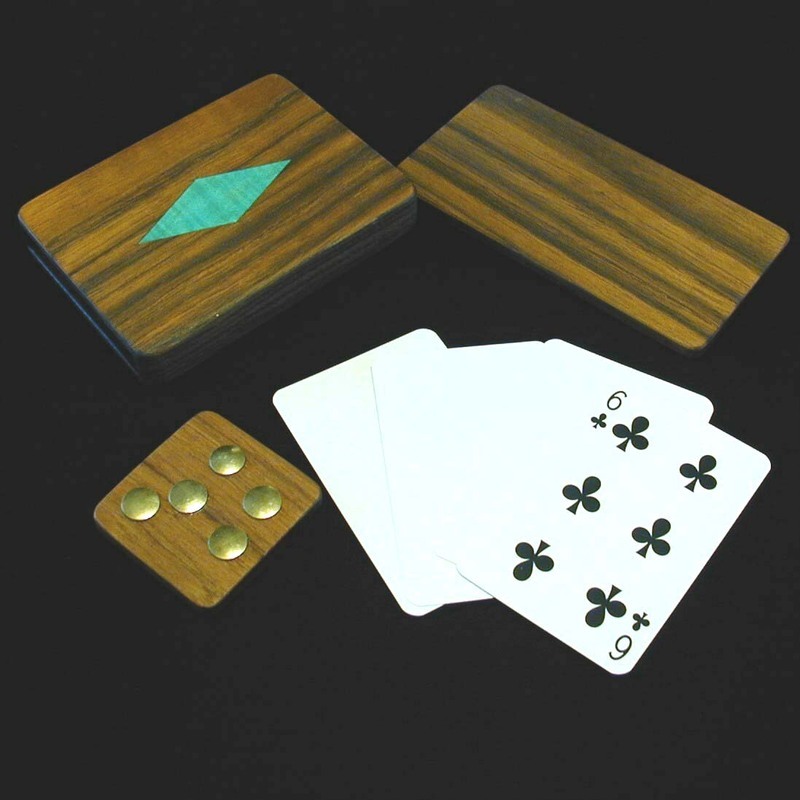 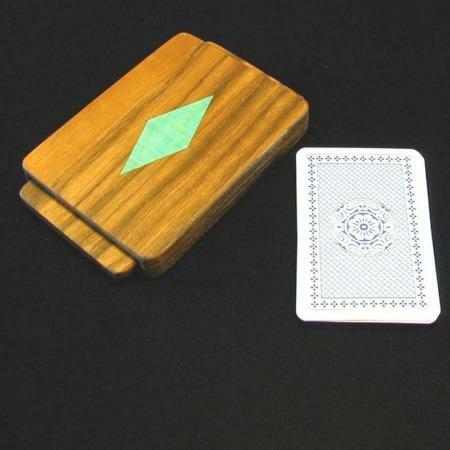 Card and tack disappear and reappear in the open ended cover case attached to the wood plate inside. 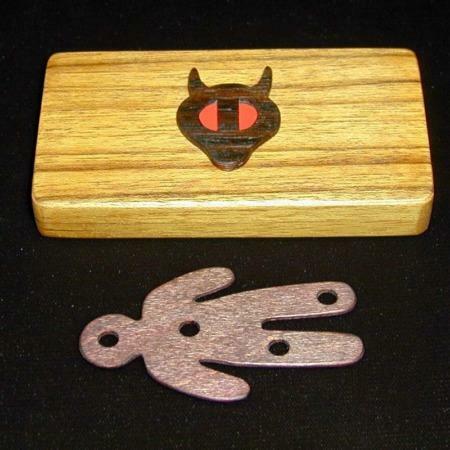 The method is devious and not exactly as I had envisioned it – I was fooled. 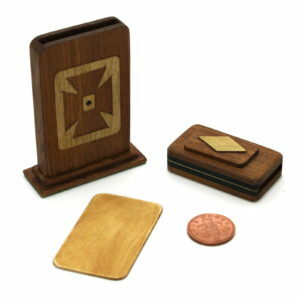 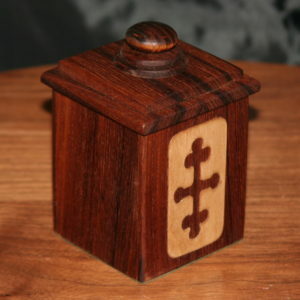 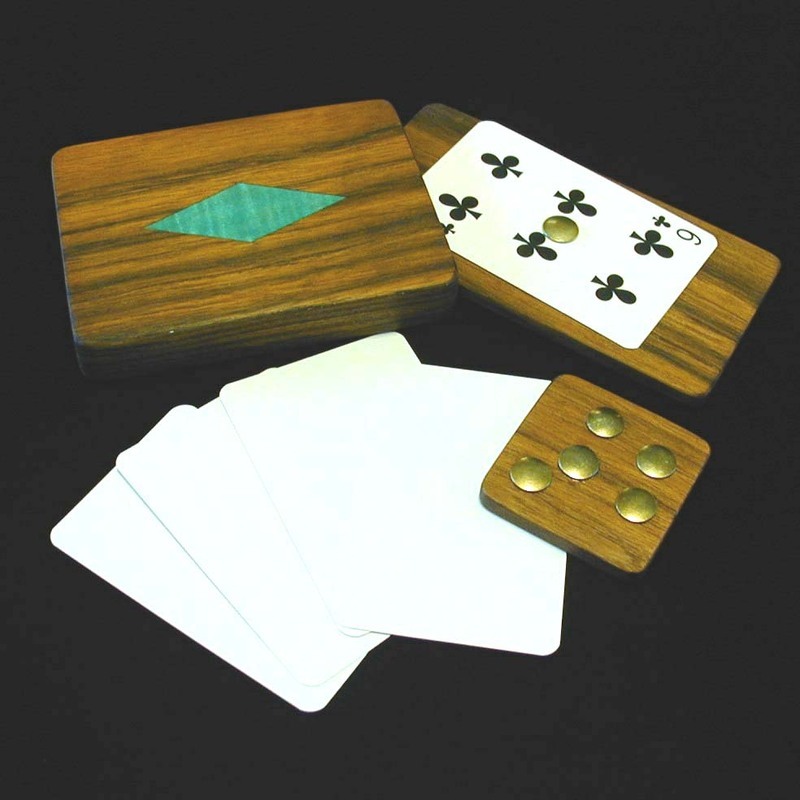 The beauty of teak is clearly showcased as this a "large" item compared to Alan’s other pieces in his Mini-Magic range.